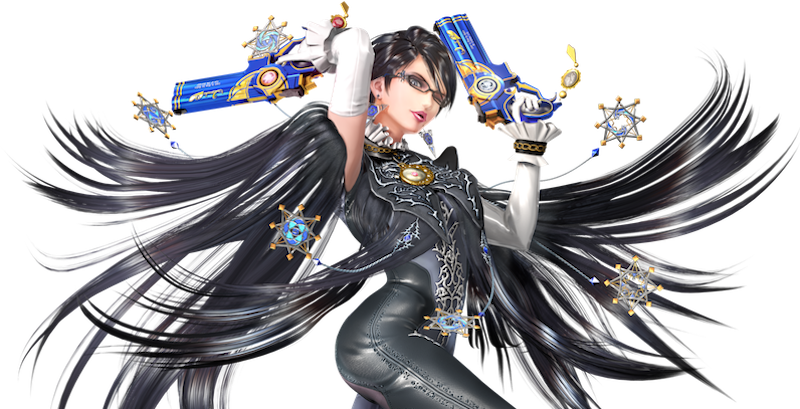 On Wednesday, Super Smash Bros. 4 legend Gonzalo Barrios (“ZeRo”) declared that Bayonetta is the best character in the game right now. Since early last year, Bayonetta has gone from a despised, over-powered monster to a big question mark and, now, apparently, a balanced but elite pick. Following her February, 2016 release, maining Bayonetta could get you some major hate and, for a while, tournament organizers heatedly discussed a ban. There were a few reasons why: Her D-tilt, Witch Twist and dive kick hit boxes were huge; her damage was significant; her unbeatable recoveries made attacking her mid-fall too risky; and her counter, which slows down time, was brutal. Most devastating were her combos. She could churn enemies through a nonstop barrage of attacks and counters that left them helpless, potentially K.O.’d at 0-10% damage. Many players regarded her as a totally broken character. Bayonetta’s optics weren’t great, either. Nintendo released her after a “Smash Ballot” determining which Nintendo character would make it into the game. Several fans were confused why Bayonetta, over Banjo-Kazooie or King K. Rool, won the cameo. When she became available, Nintendo sold her for a pricey $5.99, a significant portion of the entire game’s cost, which, combined with her power, lent her a certain air of scumminess. “It was fun for me to play her but seems like nobody has fun fighting me,” he said. Mid-2016, after months of outcry, the Smash team overhauled Bayonetta. Patch 1.1.6 was dedicated to trimming down her power, piece by piece. Nintendo decreased several of her moves’ range and hitboxes. The patch also stripped down her up-B attack, increasing its knockback and nerfing its range. It was no longer an invulnerable ingredient to an invulnerable combo. Bayonetta’s combos finally became escapable. Saleem Young (“Salem”), currently the best known Bayonetta player, actually welcomed her nerf. In an interview with TheMeta, he said, “The way she was at that time really wasn’t balanced. She could really just kill you from anywhere. Her being nerfed actually helped people understand the character better.” The result is that Bayonetta’s meta has fragmented. Top players approach her with a variety of different playstyles, one never too similar to another. Barrios agrees that Bayonetta’s nerfs gave players a “bigger incentive to master every aspect of the character.” And, as a result, players like Young are starting to max her out, engineering unbeatable post-patch strategies. Barrios still thinks Bayonetta’s counter is “the ultimate comeback move.” “It comes out on frame 5 for a counter and makes you intangible for frames 5-16, he says.” She can still hit the counter out of a double-jump, meaning players still risk her fury when they approach her mid-fall. These moves have a small window for punishing, but aren’t invincible, Barrios says. But though Young’s Bayonetta is the best right now, he hasn’t mastered aspects of her that other top Bayonetta players have, like her slow speed. It’s like Bayonetta’s soul was scattered across the top three Bayonetta mains, and, if the pieces came together, she would be invincible again. Last week, Panda Global’s tier list put Bayonetta on top. Without major Bayonetta showings at tournaments, an “ideal” playstyle won’t congeal for a while. But Barrios’ excitement that players are optimizing her is hopefully a step in the right direction. To master a broken character is dishonorable to many, but even on a more even playing field, those who main her may encounter some vestiges of fear.